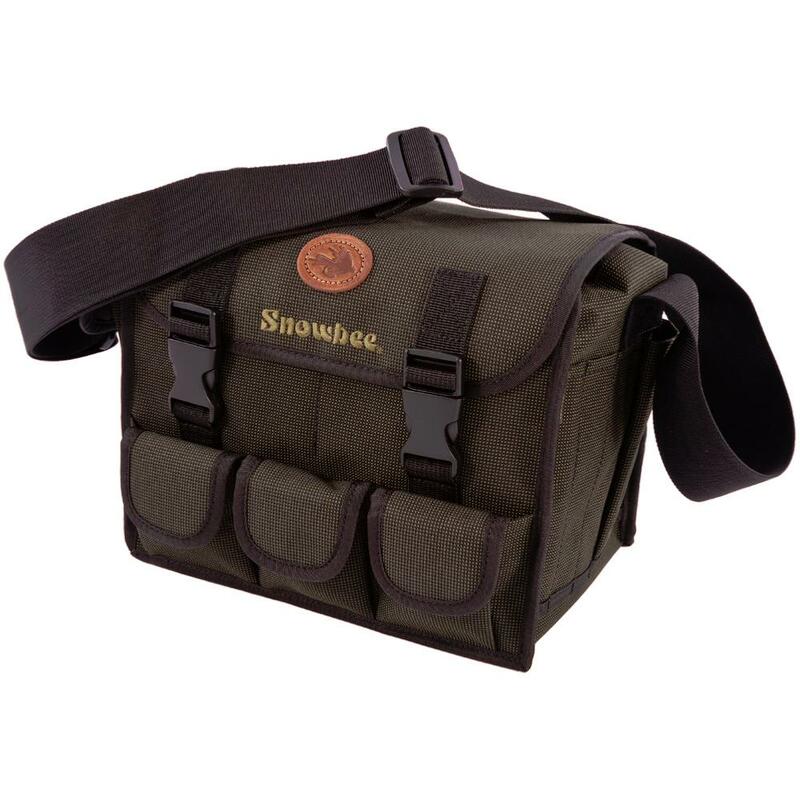 Snowbee Trout Bag a traditional style Trout Bag, with a large interior compartment and stiffened base. 2 Rear pockets, 2 front pouch pockets, plus on the front are three small accessory pockets with Velcro flaps. Side flap pocket with Velcro closure one side and priest pocket the other.Colour: Dark Olive. Very well made and perfect size for what I wantedit for. Full marks.